Secure your property inside a new virtual reality world which is open, social and persistent. A VR world where you can book your property is plainly beyond imagination for many. But with technology evolution this becomes real. A team of enthusiasts to bring something exceptional into reality have created the ‘Somnium Space’. It is a world with its own regime, economy, and currency. This is a VR world with its own Marketplace, Games, Social experiences and Virtual Land ownership. A VR world will be interconnected and seamless, they say. It is available on almost all major platforms such as Android App, Daydream, GearVR, Desktop VR(Vive+Oculus), PC client. 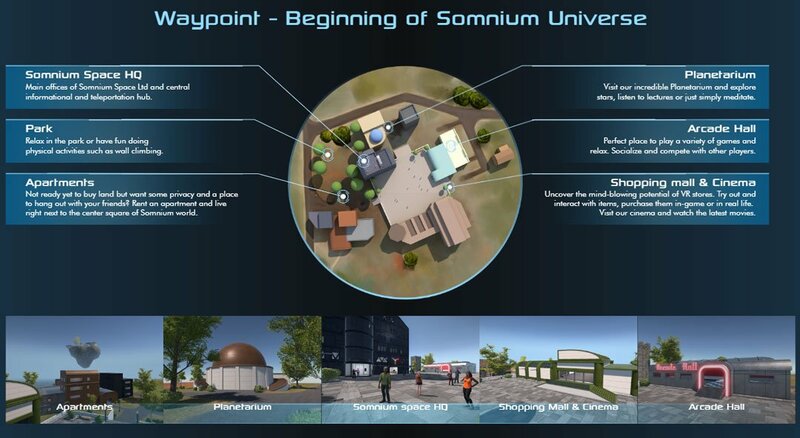 Let’s see how Somnium Space looks. Since it is analogous to a world we reside in, Somnium Space has its own economy. Also, has many business opportunities inside. The upcoming in-game currency at this VR world is Somnium Cubes. It is a cryptocurrency designed to be safe, decentralized and interchangeable between VR worlds. The land sale is the key behind their economy. Somnium Space is a member of the VRBA (Virtual Reality Blockchain Asociation). 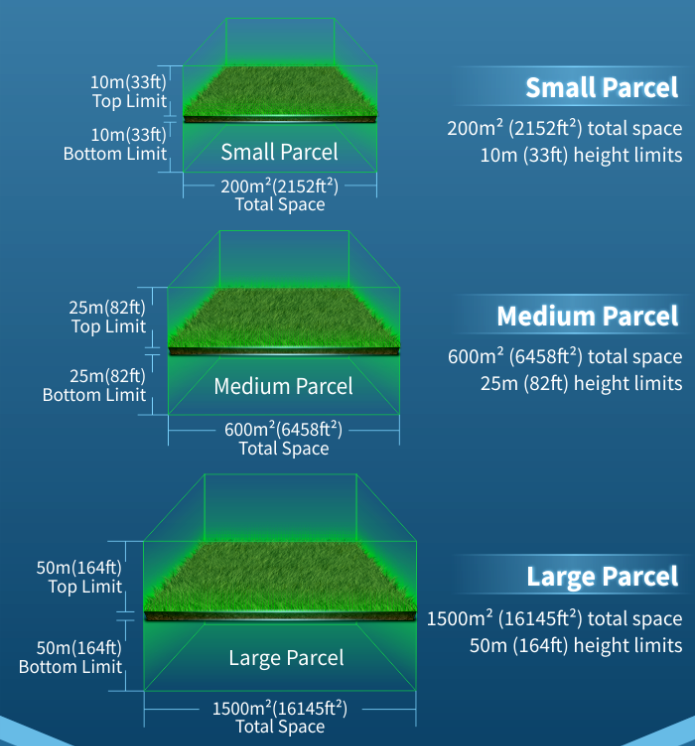 Players can purchase additional height and depth meters and can combine parcels as per their requirement. Players can also create and adjust their own layout setup for fast in-game interaction. The Builder is what empowers you to create your piece of imagination. It has the vast capabilities and specially designed UI. You can build from scratch or choose from 500+ exceptionally designed assets and sounds. The player can take advantage of a fully programmatic VR advertisement plugin. Capture and analyze gaze tracking, engagement and conversion rates. Additionally, you can also buy assets from Somnium Store and make your creation more appealing. The Builder devised with a popular 3D modeling software which can help you modify your model. You can buy and sell your models on the Somnium Store. It designed with optional personal recording mode of your actions on own property for future AI analysis to bring your avatar to life. Virtual Reality mode lives inside Somnium World. You can see in the picture how will the player get to operate the virtual world. The future of VR space is in connectivity with the open, social world. On the same terrain, incredibly designed Somnium Space has several in-game mechanics to get you engrossed in the game. 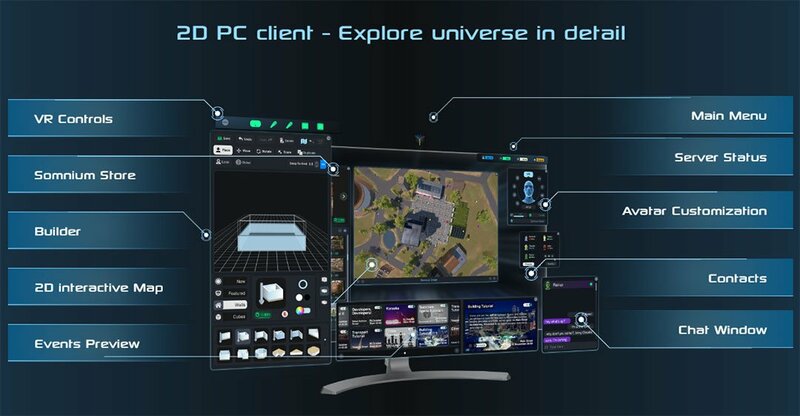 For instance its customizable PC client, virtual land ownership, in-game asset store, scriptable world, and many more.